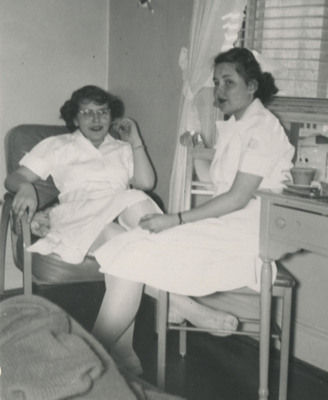 Two nursing students and roommates sit in a dormitory room at the Good Samaritan School of Nursing. Unknown, "Roommates in Dormitory Room" (1951). Good Samaritan School of Nursing Photographs. Image. Submission 201.